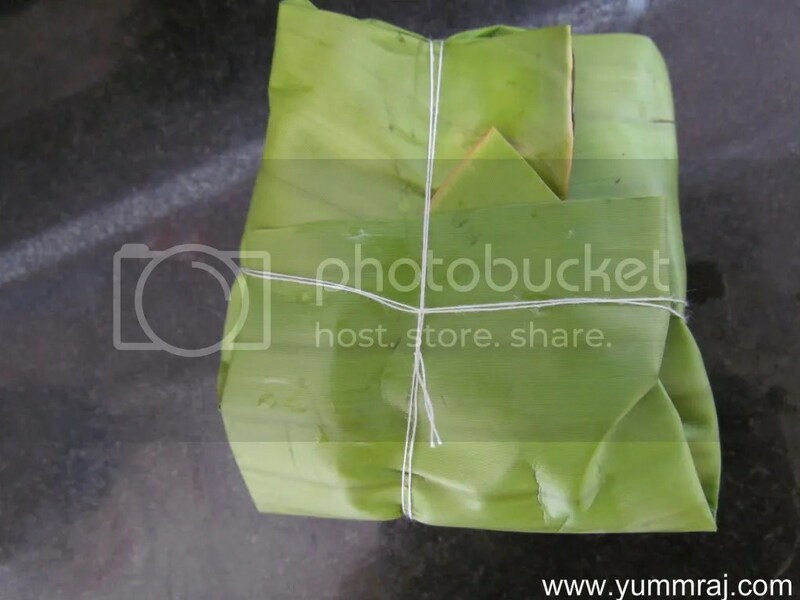 For all of u who stay in Coastal states of India, procuring banana leaf is easy. For the rest, there are markets in all cities that sell regional food – check those places out. In case u do not get it, use aluminum foil instead. The taste will almost be the same. The flavor of banana leaf will be missing. 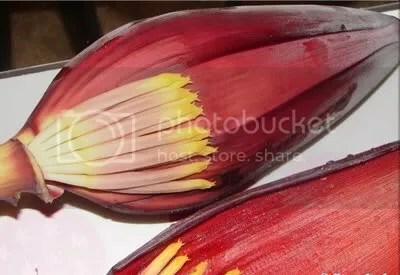 Take one mocha (banana flower). Remove the red flap layers at every stage. What u r left with is tiny 1 inch sized sticks that look like mini bananas. Take each stick in hand & remove the central piths (the style of the flower / central stock). Mince the sticks into small pieces. This whole process might take a ton of ur patience – Ur problem gets solved in case u have domestic help. Soak overnight in water after adding ½ teaspoon each salt & turmeric. Boil the mocha with plain water. Discard the water once the mocha softens. 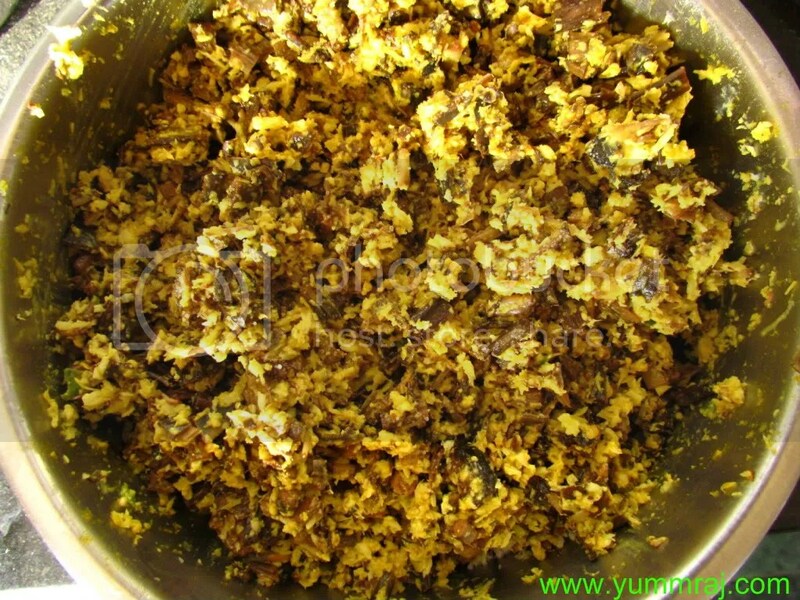 Grind 3 tablespoons of mustard with 4 green chillies to a smooth paste. Grate ¼ coconut & keep aside. Mix together the mustard paste, grated coconut, ½ teaspoon turmeric powder, 1 tablespoon mustard oil, 1 teaspoon sugar & salt to taste. Apply this paste to the mocha evenly & leave it to marinate for 1 hour. 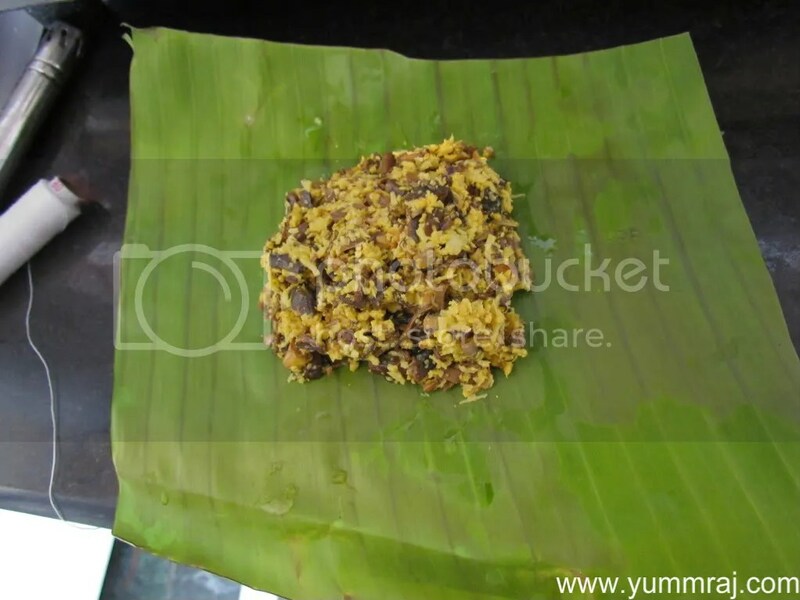 Cut the banana leaves into approx. 15cm X 15 cm squares. 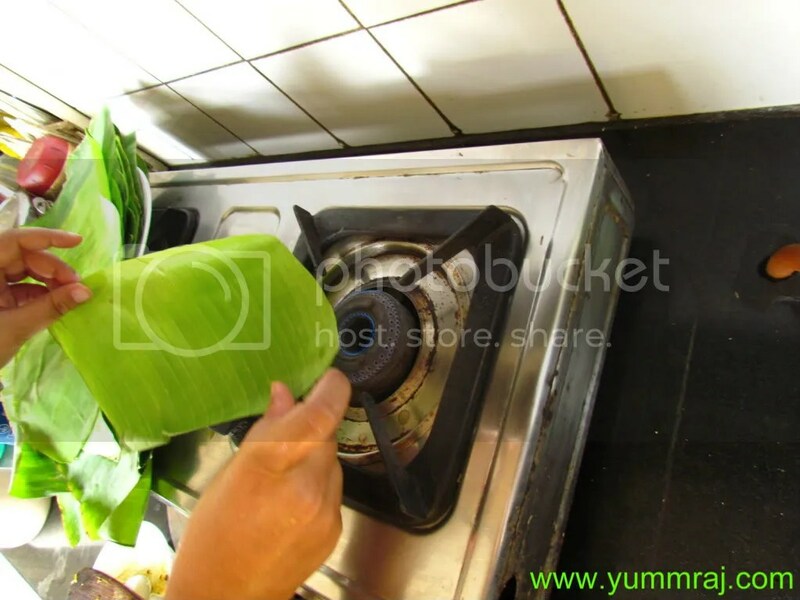 In order to make the banana leaf foldable, hold it over direct flame for a while. Without this process the banana leaf will be brittle. 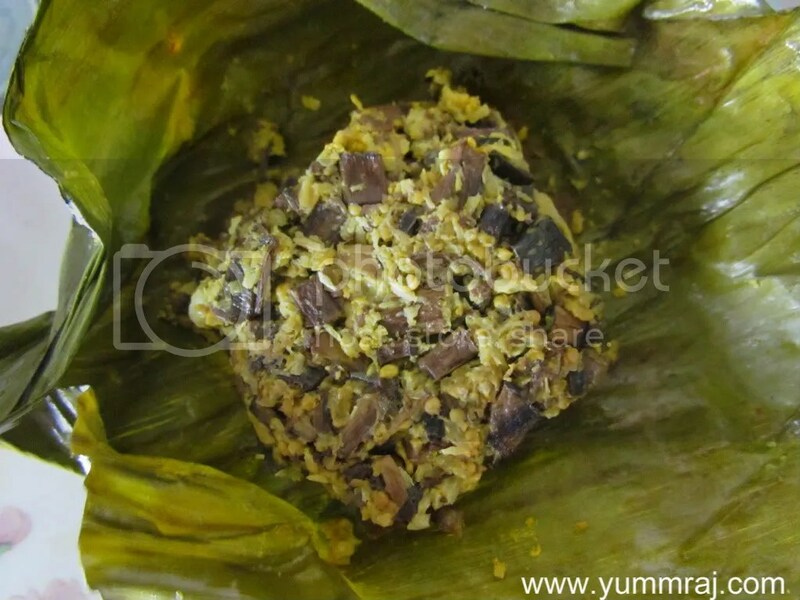 Add 2 tablespoons of marinated mocha on each banana leaf. Try to do this process together like in an assembly line. 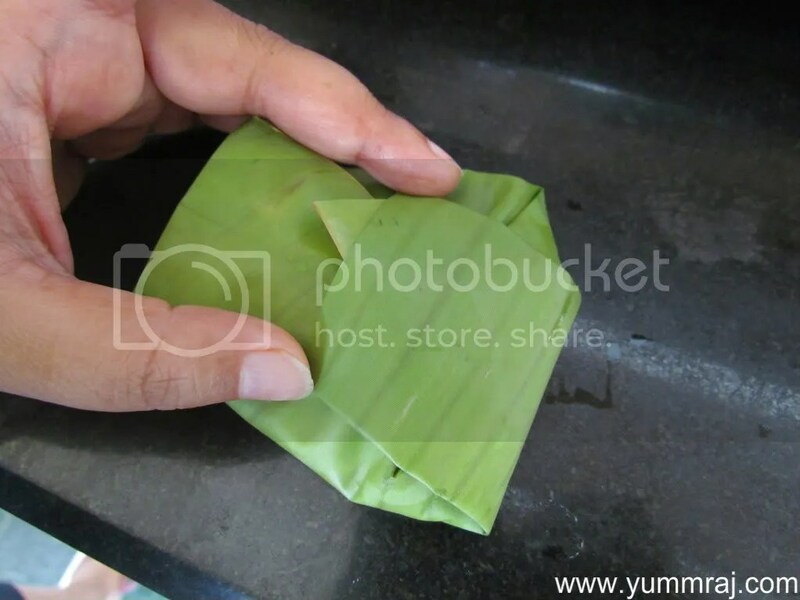 Folding the banana leaf into a parcel. ……………….& tie it with a cotton thread. In case u r using aluminium foil, u do not need to tie – just seal the foil. Take a flat tawa (griddle) & place it on the stove. Heat one tablespoon of mustard oil till it smokes. 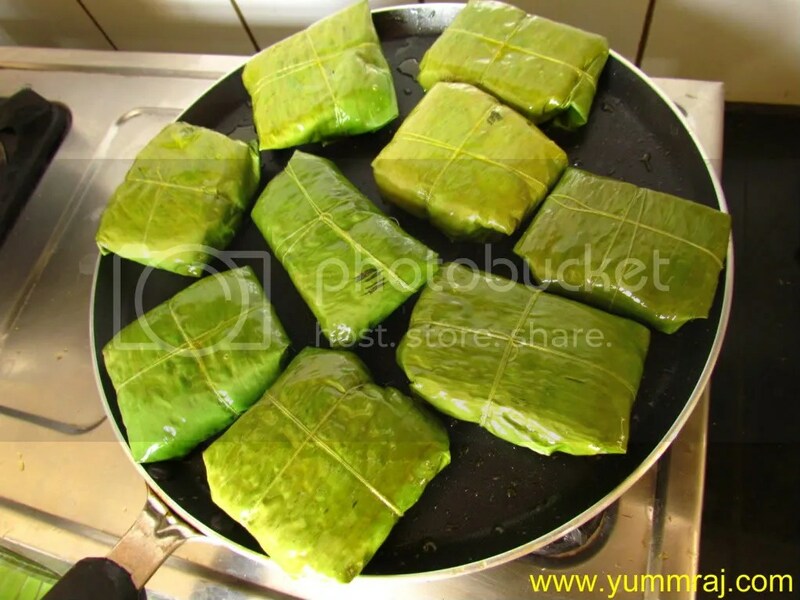 Place the banana leaf parcels on the tawa, cover with a lid & slow cook on low fire for approx. 10 minutes / till the green leaf starts showing brown patches. Enjoy this dish with steamed rice / just like that. 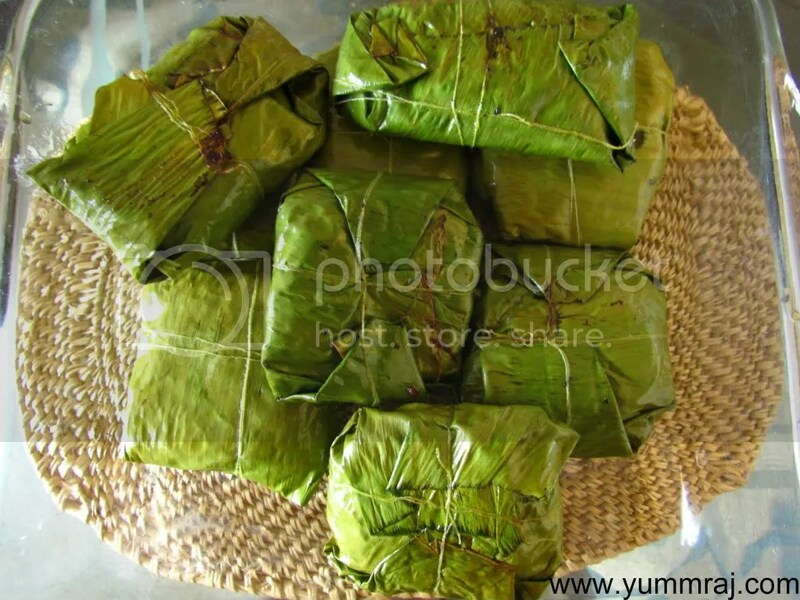 Note: U may also bake / steam the parcels instead of slow cooking in a tawa.